Pegi Vail is an anthropologist, filmmaker, and curator whose academic work has focused on visual anthropology, Indigenous media and on the political economy of tourism in the developing world. 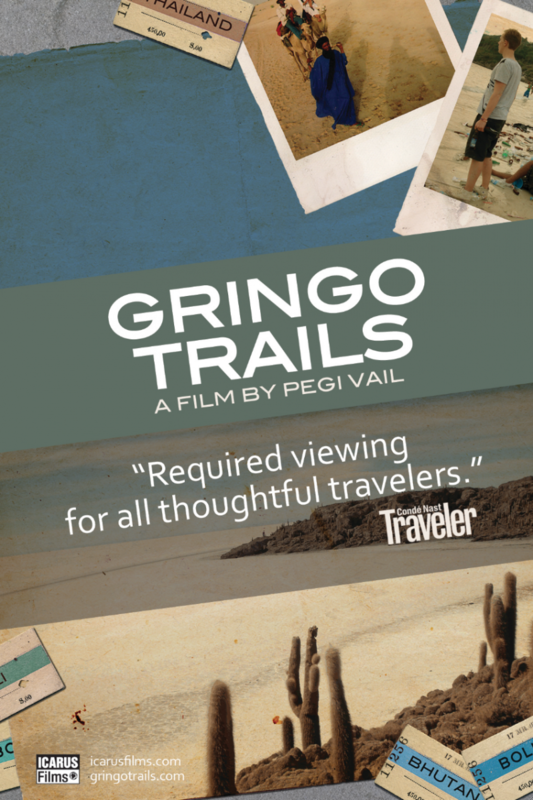 Her award-winning documentary Gringo Trails (Icarus Films/Andana Films) looks at the long term cultural and environmental effects of global tourism. The feature-length documentary raises urgent questions about one of the most powerful globalizing forces of our time: tourism. Spanning South America, Africa and Asia, the tourist pathway known as the “gringo trail” has facilitated both life-altering adventures and the despoiling of many once virgin environments. The film follows stories along the trail to reveal the complex relationships between colliding cultures: host countries hungry for financial security and the tourists who provide it in their quest for authentic experiences.